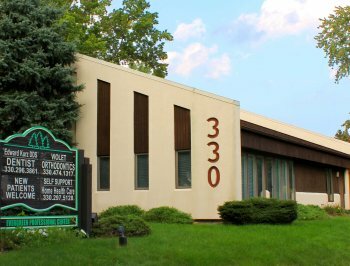 Our dental office is located at 330 North Chestnut Street in Ravenna, one block north of the Post Office. We have ample parking for our ground-level suite. 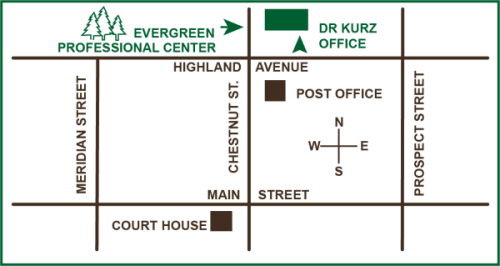 Our office hours: 8 to 5 Monday through Friday; 8 to 12 on Saturday. Content Copyright © 2011-2019. Edward G Kurz DDS. All rights reserved.